Antibiotic resistance is a serious and complex problem. Each one of us has a part to play in dealing with this global health threat. I've been thinking about the growing problem of antibiotic resistance for many years now, and always wondered if the post-antibiotic era is really an apocalyptic threat or something to try and scare us all. Well, we usually end up finding solutions for every problem in this day and age, and it seems so unlikely that we'd be facing doom's day so soon. Am I making a mistake? I must admit I do not fancy fear-mongering but what if there's some truth here? Two months ago I lost a member of my family to antibiotic resistance. He was just 41 years old and in the prime of his life. He was to undergo an organ transplant which nowadays is not an uncommon procedure, but alas, before the day came, he had been attacked by a multi drug resistant bacterium, that could not be treated anymore. Superbug, they called it! How? When? Why? All these questions keep haunting me till this day. Then I hear another voice in my head: Are you surprised? Did you think it wouldn't happen at some point? Sure I did, and I read about it all the time but when it touches your own family it hits hard. Antibiotic resistance is a problem that won't go away so easily, but we can do our part in trying to slow down this process, that could otherwise change our fate for the worse. 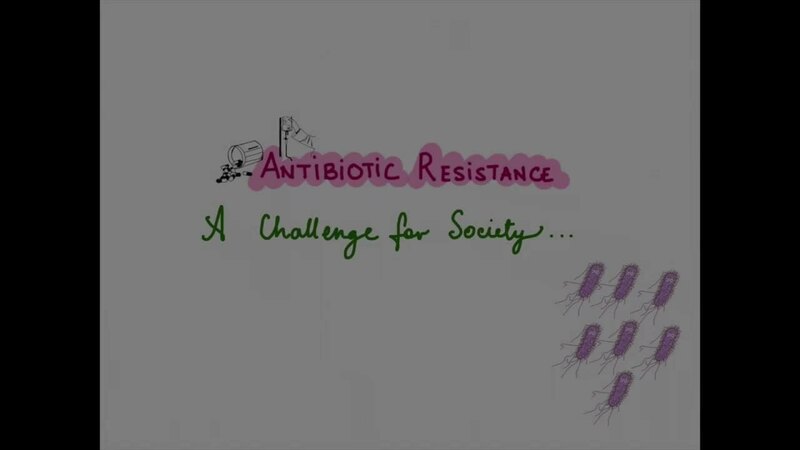 It is probably one of the biggest challenges for society as a whole because only together can we overcome and deal with antibiotic resistance. For some the post-antibiotic era arrived too soon. For the rest, we are still fighting the battle!